At BCA we have a unique culture in which staff invest in their own development. 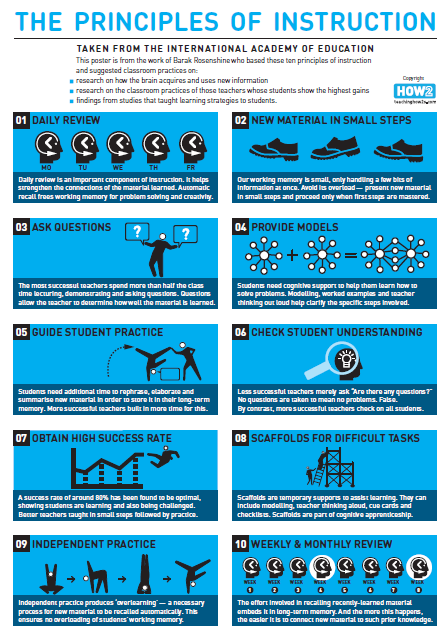 Staff have been introduced to Rosenshine’s Principles of Instruction – a framework of teaching and learning methods to support student learning. Staff attend bespoke sessions exploring Rosenshine’s methods. During these sessions, staff collaborate and reflect with one another, exploring and developing ways to embed Rosenshine’s Principles within their classroom. We pride ourselves on having a culture of deliberate and reflective practice so that we can continually refine and develop our practice. To help us do so, every member of staff has been given their own reflective Moleskine journal – this journal enables staff to take time to reflect on their practice. 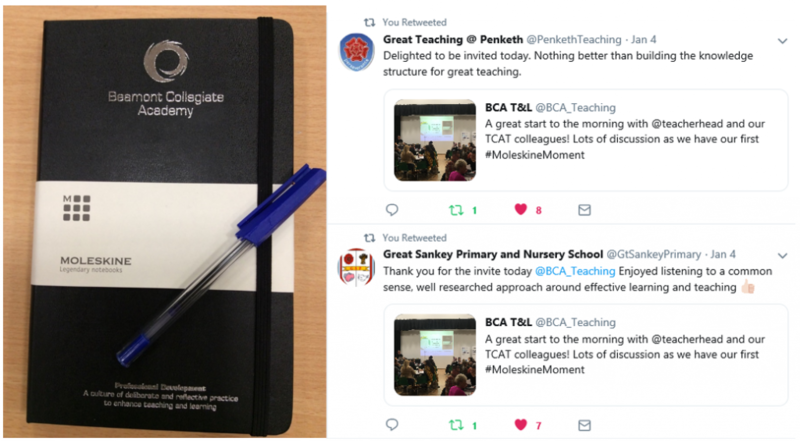 Staff regularly share their #MoleskineMoments with others, sharing their insightful thoughts and developments to further build on our collaborative practice at BCA. We invest in the continuous development of our staff and have a bespoke CPD program in place. 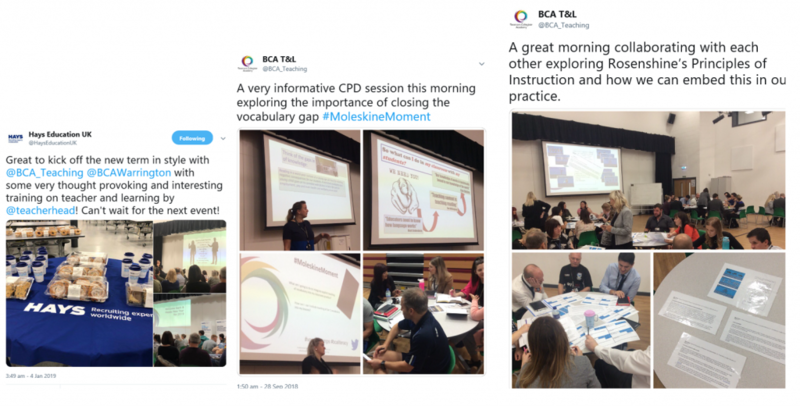 Every Friday morning, teachers and teaching assistants attend a one hour CPD session exploring a range of teaching strategies and engaging with the latest educational research as a means of continually developing and refining their practice so that they can deliver exceptional learning experiences to support their students. To support our staff in their continuous development, we also have a dedicated CPD room, proving staff with resources, pedagogy, blogs and books in our CPD library.